Many times uniqueness and individuality are what makes a particular dedication plaque memorable. 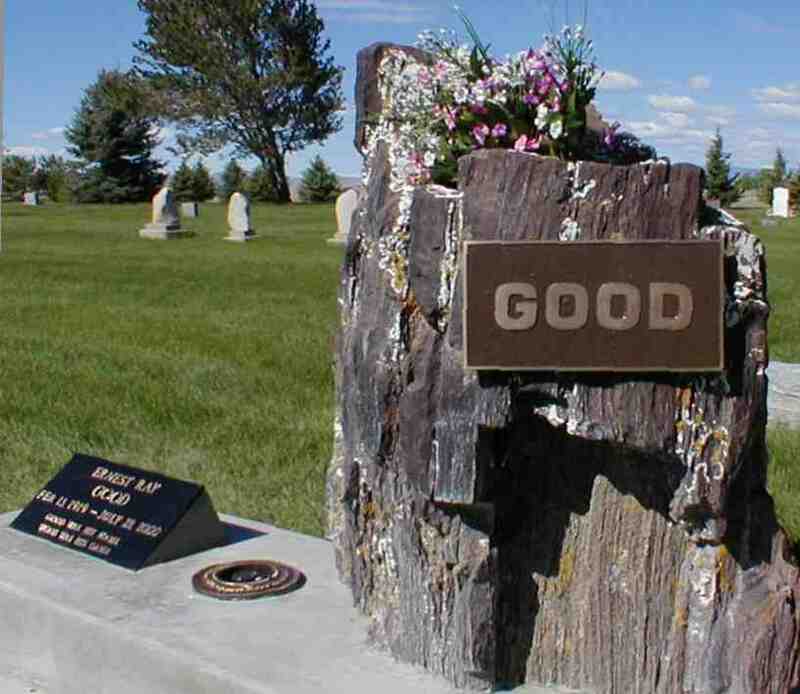 Such as the simple "GOOD" plaque mounted on a piece of petrified wood in a cemetery pictured below. Additional samples of Cast Bronze utilizing 3-D bas-relief sculpting combined with raised letter text. Creative use of trees and landscaping make this plaque unique and treasured by the family. An array of three dimensional images makes this wall reflect a very powerful statement. Here we have a bronze mounted in concrete on the left side with the family name "Good" in another very simple bronze mounted to a piece of petrified wood. The 30-foot Royal Crest for the Sultan of Brunei's 747 hangar was one of our factory's largest projects. Due to the crest's unusually large size, portions were assembled in the parking lot of Matthews' Pittsburgh plant.